Advanced Automotive is a family-owned and operated auto repair shop serving the Redding area since 1993. Our philosophy is to keep car care simple for our customers. We do this by maintaining a modern, well-equipped, clean facility, and helping people understand their automotive needs—we’ll let you know when your car requires service and why, and do everything we can to make auto repair easy. Ultimately, our goal is to ensure our customers and the community of Redding enjoy safe and reliable vehicles. that you've been searching for! Whatever you need for your vehicle, we’re here for you, and we’re the best around! Our ASE-certified technicians provide general auto repair services for foreign and domestic vehicles, focusing primarily on American and Asian makes and models. We stay up to date on the latest automotive technology, and invest in the latest tools and scanners to ensure we handle repairs accurately and efficiently for our customers. 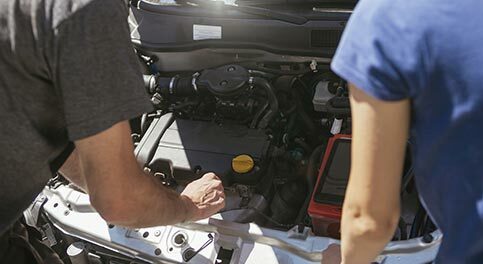 Our shop is also approved by AAA, the Better Business Bureau, and the Automotive Service Councils of California, plus we’re a NAPA AutoCare Shop, which means our services, parts, and repairs are backed by a nationwide warranty. If You Need Repairs Or It Is Just Time For Routine Service and Maintenance, Let Us Be Your Choice. We Welcome You To Become Part Of The Advanced Automotive Family. At Advanced Automotive, we genuinely care about our customers and their wellbeing. In fact, making sure our customers feel appreciated drives our business as much as providing quality auto repairs. Here are the mantras that help us deliver consistently exceptional customer service. Customers are not outsiders in our business. They are part of it. We are not doing our customers a favor by serving them. They are doing us a favor by giving us the opportunity to serve them. We remember these principles every day, with every job, big or small. They are the foundation of our business, and will be the reason we continue to serve Redding drivers for generations to come. Take it easy while your vehicle is being serviced, or get on with your day, and we’ll pick you up when your car is ready! Our auto repair facility is located at 5756 Westside Road, Suite F in Redding, CA, near the intersection of Highway 273 (South Market) and South Bonnyview Road, not far from Shasta Dam, Sundial Bridge, Mount Shasta, and Mount Lassen. Our shop is behind Fleet Pride and Norcal Transmission. We’re proud and fortunate to live in a friendly community that values family-owned, long-term businesses like ours. In addition to Redding, we serve the towns of Palo Cedro, Anderson, Cottonwood, Weaverville, and Shasta Lake City. 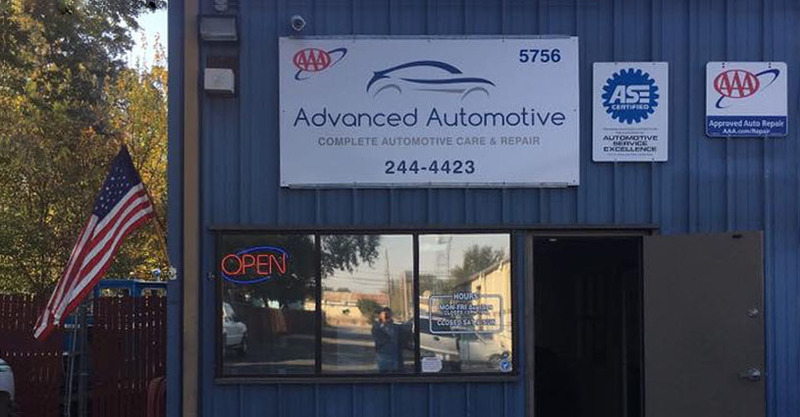 Advanced Automotive is that great little auto repair shop that’s hard to find, but well worth the effort to seek out. You’ll enjoy a more reliable vehicle, and the peace of mind that comes with trusting your mechanic. Serving Redding, CA and surrounding areas, including Anderson, Cottonwood, Palo Cedro, Redding, Shasta Lake City, and Weaverville.